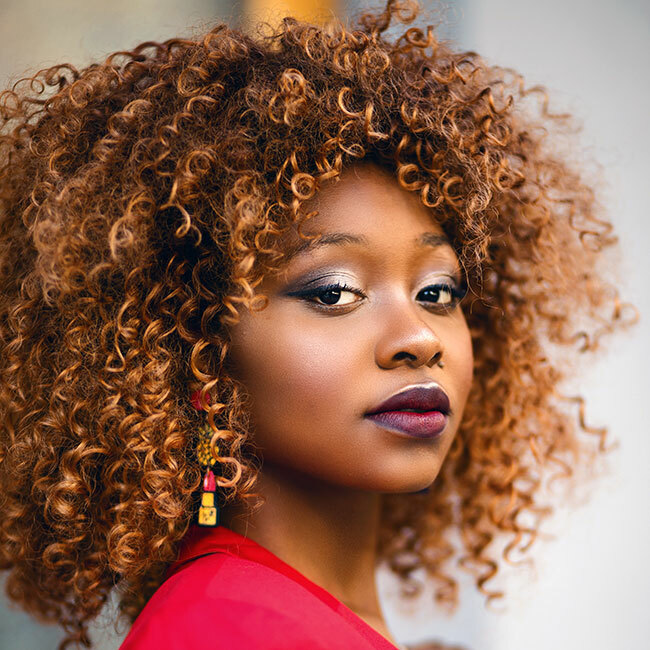 When people inquire about their hair type, they usually want to identify their curl pattern, which is probably the least important means of learning how to care for your hair. More hair care enthusiasts are switching the conversation to focus on porosity rather than curl pattern. Your hair’s porosity is determined by how quickly or slowly your hair absorbs and releases moisture, products, and chemicals. 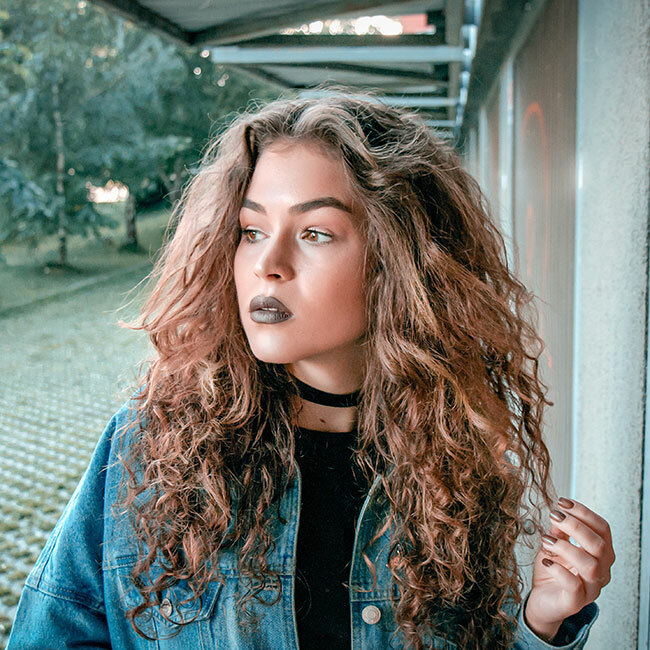 Knowing your hair’s porosity will help guide you in selecting products and also help your hairstylist determine how to approach your hair for color treatments. There are three porosity levels: low, medium (normal), and high. Low porosity hair has a tightly bound cuticle that makes it difficult for moisture, products, and chemicals to penetrate and release. High porosity hair typically has a cuticle that has been chipped away due to damage from over manipulation, chemicals, or excessive heat styling. High porosity can also be genetic. Medium porosity is the easiest to manage. One thing that everyone has in common, regardless of their porosity, is the desire to maintain moisture for as long as possible. Moisture is the foundation for a healthy hair care regimen so understanding your porosity will help you when reading ingredients lists before purchasing products. When seeking product recommendations, curl pattern is a factor, but looking to someone with the same porosity and a similar curl pattern is far more helpful. When it comes to products, lower porosity hair does not experience as much buildup with thinner, lightweight products; while high porosity hair maintains moisture much longer with thicker, heavier products. When learning how to style your hair, it can be better to seek guidance from someone with a similar curl pattern. Any curl pattern can achieve any style, but the technique will vary. A twist out from SunKissAlba is very different compared to one by Jouelzy. Sometimes the difference is just a matter of products with different holds or creating bigger or smaller sections. When it comes to products, most 3a and 3b women will opt for a mousse or light, styling cream with a softer hold (e.g. Eden BodyWorks Curl Soufflé) while people with 3c and Type 4 hair might opt for a gel or heavy styling cream with a stronger hold (e.g. Eden BodyWorks Curl Defining Crème). You have likely heard of the cup test for porosity, but the best way to observe your hair’s porosity without a cup is by noticing how long your hair takes to dry after washing. My fine, medium density, 4a coils take a full day to dry so that is how I know I have low porosity hair. And when I wash my hair, it takes my hair 2-3 min. for my hair to become saturated with water before I start washing. If your hair seems to dry almost immediately after washing, then you probably have high porosity hair. Another thing to consider when going or returning natural is the feel of your unique texture. A lot of naturals will obsess over dryness even though their hair is moisturized. Textured hair has bends, curves, and sometimes kinks (kinks are not synonymous with coils). Also, fine strands tend to be softer than coarse strands. Understanding that you are feeling texture and not dryness can be an adjustment. The best way to test whether your hair is indeed suffering from excessive dryness is to go a day with naked hair (i.e., no products). If you feel a difference between your hair with moisturizer versus your hair without moisturizer, then how your hair feels with product is your hair in a moisturized state. If you do not notice a difference between the two, then you may have brittle hair that a stylist can better advise you on maintaining. The quickest way to build your regimen is to listen to your hair. After I learned that I have low porosity, medium density, 4a coils, the next thing that helped me was reading ingredient labels every time I purchased products. I try to observe consistency in products with ingredients that my hair loves (e.g., shea butter, fatty alcohols, glycerin) and products with ingredients that my hair hates (e.g., petroleum, silicones, corn oil). You have to make a conscious effort to understand what your hair responds best to and knowing your porosity is the best place to start. How has knowing your porosity and curl pattern helped you?